"Your Home"...it's the most important place in your life. However, many people live in their home and never get around to making it their own personal sanctuary. Well...it's time to love your home. Miccaro Designs offers a range of professional interior design services to meet your personal needs, since we all know that, one size does not fit all. From overall concept to the finishing details with seamless implementation, offering nothing less then personally, polished spaces. Each of the services outlined below, always start out with a complimentary "Nice to Meet You" exploratory design call (with the exception of "In-Box Interiors). During this brief conversation, we'll chat about your design needs and aspirations, share details about the process and help you decide which one of the services below is right for you. As a boutique design service, I am determined to remain intimate in size in order to not only meet but exceed your expectations in customer service & professional design. In order to ensure an equal level of dedicated service and attention, the number of projects accepted from clients at one time are limited and a wait-list is kept for future projects. If you would like more information then what is outlined below, please give me a call. Or you can fill out the "Client Questionnaire" form in the link provided and email me with your project details to help get the initial conversation started. Need to completely revamp your kitchen, your bathroom or heck, your entire home? Or building a new home and utterly confused by the mountain of decisions that need to be made to see it through to completion? Renovations are not easy and the clients world can be turned upside down during the project. If you want to eliminate wasted time on fruitless shopping trips and sourcing, then "Full Service" is the ideal option for you. "Full Service" means I will be with you every step of the way. I will however take the reigns and help guide you through the maze of decisions that need to be made to bring your home to life and help to eliminate the stress and guesswork. The "Full Service" design package includes: comprehensive design concepts showcasing "proposed" selections of the various components of the design, budget approval, digital mood boards, preparation of drawings, specifications, floor plans, elevations and details as necessary are provided. Sourcing of all selections from furniture to fixtures, flooring, fabric selections, lighting design, start to finish project management and supervised deliveries and installations. Full Service projects reflect projects with remodelling and decor that have budgets of over $30,000. Investment for this service varies depending on your needs and scope of the project. Please call for more information. After the "Nice to Meet You" exploratory call, we set up an initial in-home meeting so we can take the time to get to know each other a bit better, review any preliminary work you have done thus far, assess your wish list in order of priority, as I share my advise and expertise along the way. On completion of this initial meeting, if you decide to work with me on your project the cost of this meeting outlined below will be put toward the design fee for my services moving forward with your project. Drab to FAB "Design Consultations"
Perhaps you have some ideas and need to get some design expertise to bring those ideas to life, or perhaps you are a DIYER and want to tackle most of the sourcing and shopping yourself. Maybe you have a tight budget but want a specific and personalized design direction and want some answers to your many questions. Then the 2-hour Design Consultation is the service for you! We can discuss paint color, furniture layout ideas, lighting updates, window coverings, new upholstery for existing furniture, find creative solutions to remedy the rooms design flaws. We will discuss it all, share some tips, offer some ideas for sourcing products and leave you with clear ideas on how best to implement those plans. During our "Nice to Meet You" exploratory design call prior to our meeting personally, (as outlined above) I will inquire about what you are trying to accomplish and give you some advise on how to best prepare prior to our consultation. We need to make the most out of every minute of our time together. All consultations are booked as I can fit them into my schedule. Please contact me for availability. Have you moved into your new home and although you have furniture, it still looks vacant or not pulled together? Perhaps you have lived in your home for many years and your are tired of the lack lustre spaces. Maybe your rooms don't reflect your personality, your style or your life. Maybe you need someone to swoop in and tweak a couple things to change the overall feeling and comfort in your home! This service is about decorating you space to bring out it's full potential in both the furniture layout and decor. Simply put, your rooms are lacking that comfortable, inviting aesthetic or the WOW Factor. Well...that's where I come in. We start with a " Nice to Meet You" exploratory design call (as outlined above) so I understand what is bothering you about your home, discuss some details about your personal style and what you would like to accomplish. This service is about using your existing cherished items and then thoughtfully incorporating a variety of new items turning your room into a function space that will not only delight you, but your friends and family too. We'll set up a time for an in-home visit to discuss in more detail how you want the select room or rooms to look, feel and function. I'll take some photos and measurements, gather further information about budget and timeline in order to prepare for the execution of the WOW Factor you are looking for. A budget is determined and a design plan is then created to be used as a guide for shopping and staging of the select space. Many times just moving a couple existing furniture pieces around breathes new life into the room. I will send you my professional recommendations for your perusal and we will discuss my suggestions until you feel comfortable before moving forward. Then I or we go shopping for the recommended items as per your approval. With a trained eye and my knowledge of all things design, I can capture YOUR personality in styling that will personally reflect you. The Wow Worthy STYLING is quick, effective and will give your space a personal, fresh vitality that you will LOVE to come home too. Discount rates offered for multiple rooms or whole homes. Wow Worthy STYLING services are booked as I can fit them into my schedule. In-Box Interiors is a quick, effective and cost-conscious e-design consultation that's done remotely, via e-mail only (no phone calls or Skype) to assist you with the decorating dilemma you are challenged with in a particular room. I have come to understand that not everyone is in need of full service design or needs a personal consultation with advise on multiple challenges regarding future renovations or new builds. Sometimes it's about tackling a room that is just not finished or for some reason is just not comfortable and you don't know the best way to fix the problem. The formula for this service is based on me offering my professional recommendations through line drawings, general written instructions supporting my drawings and a couple images from on-line catalogues to help you have clear, helpful direction on how to tackle this rooms decor dilemma. You can submit any room you want assistance with. It's a virtual design consultation and it's as easy as 1, 2, 3. Send me your design dilemma explaining what's bothering you about the room with as much informative information as you can. Also include any information about the lighting that exists in the ceiling. Send me photos of the 4 walls of the room. The photos of each wall need to be taken straight on (not from an angle if at all possible) and from a distance, so I can see the whole wall in the photos. (Do not submit collage style format photos). I then use your submitted photos as a virtual and visual tool with a quick line drawing explaining what my professional recommendation is and send them back to you with the written explanation. I will give you fun and easy design tips, along with a couple photos as visual examples to help you execute these ideas that will inject new life into your space. As we all know, time is money. 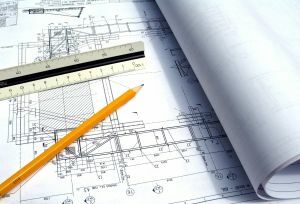 If you are finding that your company is investing big chucks of time on design decisions for your project or hand holding your clients trying to assist them with their many design questions & selections, then you are not focusing in on the most important task at hand...the construction and management of the overall project. Michele of Miccaro Designs offers a cost-effective design service that will help save valuable time, money and added stress by assisting you or your clients create a customized product that will undeniably be hard not to fall in love with. Michele can deliver a designer look without a budget blow out! Because knowing where to spend a little and where to save a lot is imperative! Whether you are in need of direct design assistance or you want to ensure that your client is taken care of with a kid glove, doesn't have to take a vast amount of time or a big budget. It just takes a smart interior designer. Michele effectively works within budget constraints and time lines ensuring you meet critical deadlines. Both interior and exterior design details are available as needed. The goal is to create a personalized, fresh and dynamic design through the use of current materials and products while meeting all project criteria. All selected and approved products are organized and input into a "Finish Schedule" encompassing all specifications, keeping detailed information readily available. Each Finish Schedule will include an outline detailing item's size, color, code, supplier, and placement detail. This schedule arms you and your team with every detail needed for a streamlined ordering process. Where applicable, built-ins will be supported with CAD drawings outlining detailed information, as well as tile layout drawing and lighting plans. Approved copies of the Finish Schedule and drawings, will be provided for both builder and client when necessary. This allows effortless checks and balances at the time of installation and eliminates any miscommunication preventing incorrect product installation. Through collaboration with your preferred suppliers and working effectively to support your team, I will strive to create a finished product that will undoubtedly make you stand out from the crowd. With a customized design package to suit your company's project scope and budget, you can get on with the other important decisions, knowing that the interior design of your project is in professional hands. Michele offers a comprehensive design package tailored to help savvy builders wanting demand for their finished product by helping to showcasing their quality of workmanship along with the introduction of refined design details and current design material and products. As a supporting member of your team, I will strive to help you capture the heart and imagination of new home buyers making your company stand out for all the right reasons and elevate your company brand. Comprehensive interior design services for profitable property development. Offering "Customized" service bundles to suit your scope and budget. Call to learn more about the customized services available. Understanding that the homebuilding or renovation process is often not clear for your clients and can be overwhelming, one of my goals is to make the process fun and easy offering a positive experience for all involved. I simplify the process offering patience, guidance and work at educating your clients on what will best suit their unique lifestyle and project budget, so they feel empowered and secure in their decisions moving forward. While working within the budget constraints, time line and keeping the final personalized design aesthetic in mind, I help lead your clients thoughtfully through the mountain of decisions needed to support the project assuring that deadlines are met to assist in a smooth process for them and your team. Offering a professional interior design consultation package in support of your company's value-add services, will not only help alleviate stress for your team and your client, it will add to your marketability and will allow you to stand out amongst competitors. It may be your secret sales weapon! Most importantly, if your client is looked after with support from a professional designer, then your team can focus on getting the home or renovation built. Again, the goal is to save time, money and stress for both your client and your company which will motivate your clients to share their positive experience with friends and family. Great personal referrals...is the name of the game! Client Design Investment: $125 Hr. Consulting packages can be tailored to support a select amount of design hours allocated to assist your client with initial priority decisions based on the scope of the project. If clients need or choose to personally add more design time, assisting them for additional design direction, they are welcome to deal with me directly for more time as needed on an hourly basis. "Partner with a Creative Expert"